This week I share a poem about Easter that sums up Jesus’ life and purpose: to be the perfect sacrifice for our sins so that we can have eternal life with God as a free gift. Love to the fullest once roamed our earth. He arrived here by means of a heavenly birth. there was something so special this child would do. teaching us love from God's own hand. Though to some He knew He would be such a dread. They never could rest until He was dead! He knew His own fate from beginning to end. He knew and still loved His betraying friend. to die for our sins and our total defeat. Why did He do it? No reason but love! He wanted to help us to heaven above. Who was this man with such merciful love? None other than Jesus, our Saviour above! From our perspective, the world doesn’t always rotate the way we think it should. Events happen that perplex us, injustices occur that trouble us and rewards don’t always favour the ones we believe are most deserving. So often we cry out to God in protest, pain or despair, asking why these things take place. But it’s not always for us to know or understand these situations. Just as parents need to shield children from some things until they are ready to handle them or parents need to act in a child’s long-term best interest rather than respond to their pleas to avoid disappointment, God does the same for us. We may feel that we are “grown up” enough to know everything but God is so much wiser than we are. True, things often don’t seem fair, they seem incongruent with our desires and they appear foolish. But God’s foolishness is wiser than our greatest wisdom and so we need to trust in him and hold on to the hope that he offers. The recent tragic events in Christchurch are not part of God’s plan and I’m sure you join with me in condemning those types of actions. Regardless of someone’s background, Jesus made it clear that we should seek to live in harmony together with no group being above any other. He taught us to have compassion and tolerance, and to treat others as we would treat ourselves. God’s plan is for peace and harmony on this earth and it’s especially at these times that we need to stand together as global citizens and show that attacks upon any group will not divide us. Instead, we need to reaffirm our commitment to acting from a position of love and understanding. With last Friday being International Women’s Day, I thought it worth reflecting on the women who appear throughout the Bible. With similar irony to that which exists within Christianity where God does everything to bring us to him rather than us earning our place by his side, the women of the Bible hold strong and significant roles within God’s plan despite the highly patriarchal society of the era within which the Bible was written. Jesus raises the profile and status of the women he interacts with and uses their life stories to teach about God and his plans. They play critical roles in his ministry and it is the women who remain by Jesus as he takes his final breath on the cross. It is the women who first discover and share that Jesus has risen again. At that time, the word of a woman was largely dismissed, so for so many people to have heard and believed what they saw on that first Easter morning is quite powerful. 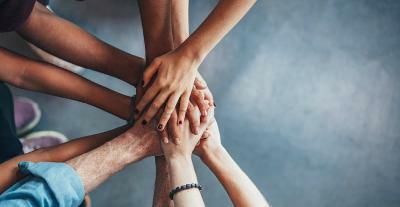 There are also many women who show courage and leadership, who question and challenge, and who support and encourage. They also show great faith, recognising that Jesus is different and that he has a way to a better life that is filled with hope and the promise of something far better. Moreover, when you fast, do not be like the hypocrites, with a sad countenance. For they disfigure their faces that they may appear to men to be fasting. Assuredly, I say to you, they have their reward. But you, when you fast, anoint your head and wash your face, so that you do not appear to men to be fasting, but to your Father who is in the secret place; and your Father who sees in secret will reward you openly. 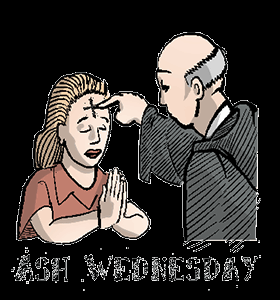 Today is Ash Wednesday and marks the beginning of Lent, which is the 46 days leading into Easter. Ash Wednesday is not specifically mentioned in the Bible as something to acknowledge but many traditional Christian churches have at least some reference to it. Lent has historically been a time where Christians give up something that’s important to them in recognition of the sacrifice that Christ made for us on the cross. In the early church it was a time of fasting so that you could give to others who were in greater need. Jesus was clear that this was not to be about outward showiness, but rather a private action that reflected where your own heart was at; the heart that God sees. People were to participate not for what they could get but for what they could give. At our School Council meeting this week, I read a story about a homeless boy who learns what John 3:16 really means. He is directed to say to a nearby homeowner, “John 3:16,” which then commences an evening of food, a warm bath, a comfy bed and a hearty breakfast. He doesn’t understand what John 3:16 means but he does work out that it results in good outcomes that he didn’t have to do anything for. The homeowner eventually shares the words of John 3:16, explaining that it makes no sense that God would sacrifice his Son so that we can have a better life. But that’s exactly what he did. The central event of Christianity is that Jesus came to us, died for us and rose again, demonstrating his legitimacy of being God’s Son. God wants us with him forever and he paid the price to make it happen. Jesus was his gift to us. As we approach Easter, let’s celebrate that even though we’re still sinners, Jesus has already paid for our salvation at no cost to us. With our current focus values of Identity and Celebrations, the Year 3 students have been exploring Civics and Citizenship and wrote a pledge to the Good News community. It is similar to the pledge that people make at a Citizenship Ceremony and they presented it during yesterday’s assembly. By committing to being loyal members of the community who obey the rules, fulfil their responsibilities and respect the rights of all citizens, the children are being wonderful role-models for how God wants us to live with one another. Each of us needs to be accountable for our actions and how they impact others. When difficulties arise, taking a step back and seeing a wider view can help us to get along better with others and live happier lives ourselves. Thank you to Year 3 for setting such a great example for us to follow. May we support them too by seeking to create the best community we can through all that we do. In this week’s chapels, we continued learning about the humanness of Jesus. Mrs Neldner and Mrs Eckermann shared the story of King Herod and the lengths he went to to ensure he remained king. Fearing that Jesus would de-throne him, Herod ordered all of the young boys to be killed. To stay safe, Jesus, Mary and Joseph fled to Egypt, becoming refugees in the process. It’s not often that we think of God’s Son as a refugee, especially when he was referred to as the King of Kings. He started life in a stable and spent his childhood homeless. Being God’s Son did not earn him special privileges. Jesus lived a very human life, which is why he understands the difficulties we face as we journey through our time on earth. But Jesus also showed us the way to our Heavenly Father when he died and rose again. Whilst our human life may have its challenges, we have God’s promise of eternity with him for those who believe in Jesus as their Saviour, knowing that Christ has already won the battle of sin and death on our behalf. Most people know the story of the Israelites wandering through the desert for forty years after they were freed from slavery in Egypt and headed for the Promised Land. Fewer, though, know that the journey should have only taken 11 days. What happened!!? Eleven days turned into forty years! Unfortunately the Israelites had a great sense of their past, as well as a solid understanding about their present situation, but lacked a real sense of seeing their future with an “eye of faith”. Many of them never made it to “the land of milk and honey” to enjoy the great life that God had waiting for them because they saw their future as being fully determined by their past and present. They couldn’t see or accept that God’s plan had nothing to do with those things. Instead, the Israelites had so much available to them but they never got to enjoy it. Though, it’s not just the Israelites who can think like that. We too can believe that we are not worthy of a better life – either because of past actions or because of the current situation we find ourselves in. But God reminds us over and over that he has no interest in punishing us – we do a good enough job of that ourselves. His plans for us are for good outcomes and blessings, but we need to see that and believe it. We need to keep our faith in him, and let him guide us to a happier and more fulfilling life instead of remaining in the same situations that trouble us. His plans are for us to prosper and find peace – and he doesn’t want us to take forty years to realise it. The past is the past and our future starts today. In our chapels this term we are exploring the humanness of Jesus. Although he was fully God, he was also fully human. He grew up experiencing all the same joys and challenges we do. Just because he could have used his Godliness to make life easier for himself, he didn’t. In fact, the only times when he did use his power as God was when he was helping others, such as in the many documented miracles that he performed. Whenever it came to his own suffering, he always accepted it. He may have questioned our Heavenly Father about his suffering, and even asked if there was another way for events to unfold, but he never used his power to his own advantage. He remained fully human in those circumstances. So Jesus well knows and understands the struggles we face. When you call on him for strength, he is there for you because he has also walked the same path. And he knows the glory of living with his Father – our Father - and continues to give us hope, showing us the way to heaven and eternal happiness.